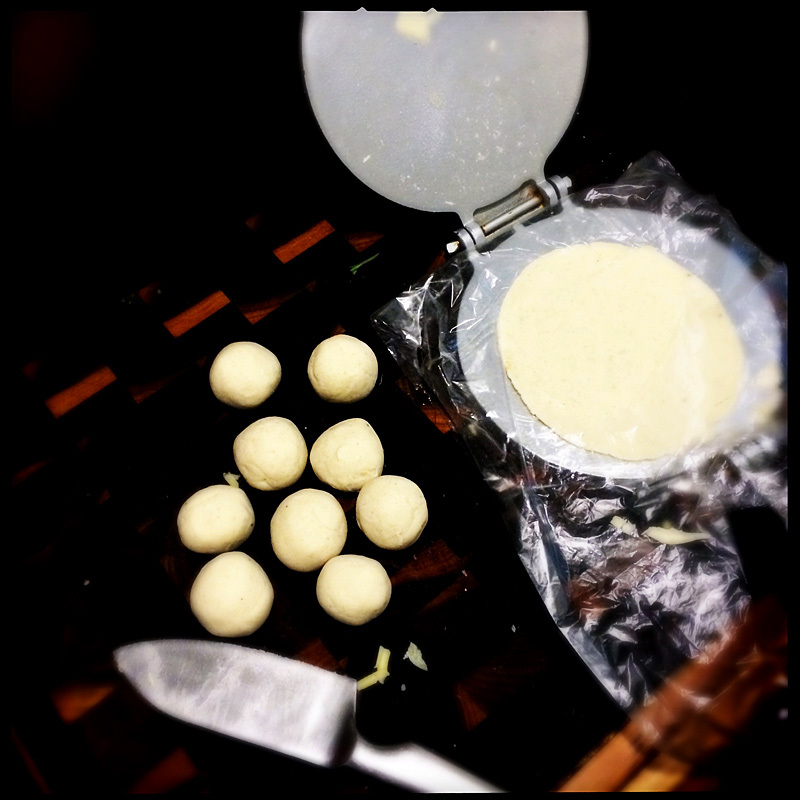 Last night I made my best ever batch of corn tortillas. I have a great love of Mexican food, and I’ve been making tortillas from wheat flour and corn (maize) flour for some years. Thanks to the most excellent book “Tacos” by Mark Miller (also full of fantastic recipes for fillings) I now understand corn tortillas a lot better. Of course, I’ve never seen a Mexican cook make them, so I’m still an outsider to the secrets. But here’s what I’ve learned….